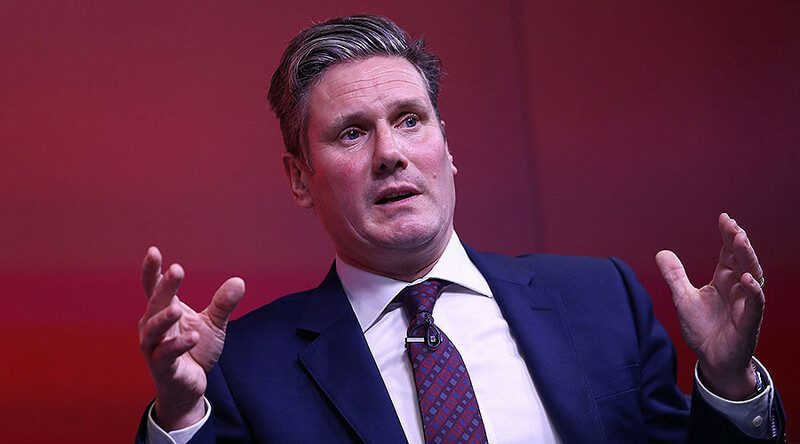 Speaking to the Sunday Times, Starmer, an MP from the centrist Blairite wing of the party, called on politicians to address the primary reasons the UK voted to leave the EU, including the strong focus on immigration. Starmer’s comments appear to contradict Labour’s left-wing party leader, Jeremy Corbyn, who only last week said the freedom of movement for workers should continue after Britain leaves the EU. Starmer, unlike Corbyn, also believes that EU citizens should only be allowed to enter the UK if they have a job. “People, when you talk to them about immigration, have a strong distinction in their mind between people who are coming here to work and contribute and those who are coming here to look for work and I think that distinction is well worth exploring,” Stramer told the paper. He also warned that the “deeper issues” in the referendum outcome risked being ignored if the focus continued over triggering Article 50 and the “hard” or “soft” Brexit argument. “If we just concentrate on the process and fight about the deal with the EU, we leave out half the picture and half the analysis,” Starmer said. Starmer, who was director of public prosecutions for five years before he became an MP in 2015, has been seen by many on the Blairite right of the party as a potential future candidate for the Labour leadership. If Sir Keir Starmer were leader of @UKLabour I wouldn't completely rule out victory for the party in 2020.